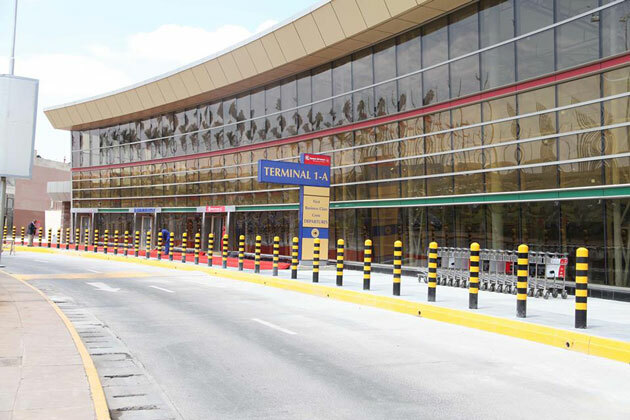 Kenya Airways has migrated 11 additional flights to the new ultramodern Terminal 1A at its Jomo Kenyatta International Airport (JKIA) hub. From today, the airline will be operating a total of 15 flights from the new Terminal 1A, which is for exclusive use by Kenya Airways and its SkyTeam partners. These flights will be departing to Delhi, Luanda, Dar-es-Salaam, Entebbe and Johannesburg. “We are excited to increase the number of flights operating from this modern terminal. All the facilities in it are as good as anywhere else in the world. It will significantly enhance the quality of service. We have developed a timetable to progressively increase the number of flights that are processed from Terminal 1A,” Naikuni added. Kenya Airways began using Terminal 1A on August 12, 2014, using it for four flights. From Thursday, the flights that will be operated from the terminal are to Delhi (KQ220); Luanda (KQ770); Dar-es-Salaam (KQ480, KQ482, KQ484, KQ486 and KQ488); Entebbe (KQ410, KQ412, KQ414, KQ416 and KQ418); and Johannesburg (KQ760, KQ762 and KQ764).